Federer: "Shanghai is one of the goals of the season"
Ahead of his first match at the 2017 Shanghai Rolex Masters, Roger Federer announced his intentions to walk away with his second trophy from QiZhong Stadium. The 19-time winner of majors said that his focus was not on catching Rafael Nadal for the top spot but was “right here, right now on Shanghai. Nothing else”. 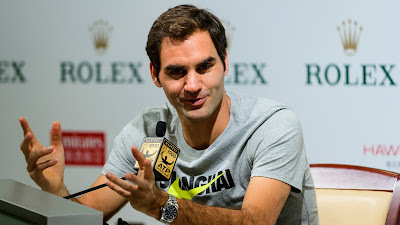 Playing his first Tour event since the quarters of the US Open where he was hampered by a back injury, Federer said his training has been geared towards performing well this week. Federer arrived in Shanghai on Thursday night, as early as he’s ever been here. “I have been practicing for hours on the centre court,” he said. “Have been kept busy, as well, which gets me into the right mindset, to be quite honest, because I’m here for a reason, here for a purpose, trying to do well, hopefully winning the tournament. 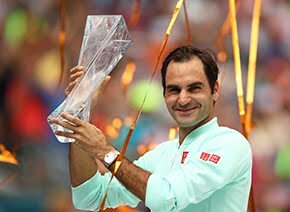 Immensely popular in China, Federer is happy to be back after missing last year’s tournament with injury. He added: “Maybe some fans here in China or Shanghai thought I might never come back. I never thought this way, but now that I’m here I feel fans are really, really excited to see me. Federer calls Shanghai his “second home away from home”, having opened the Qi Zhong Stadium here back in 2005. This year, Federer’s been making the most of his trip to Shanghai, having been spotted at an NBA game and even getting a metro line dedicated to him. Fun and games aside, the 36-year-old says his focus is different compared to his younger years. “It’s short now. It’s compressed. So it’s week by week, and just try to do your absolute best. I have played extremely well this part of the season, but, you know, every year is different,” he said. 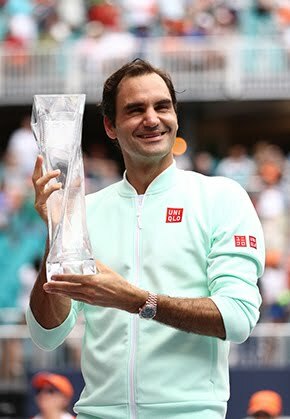 Despite owning 93 titles, putting him third on the all-time list behind Jimmy Connors and Ivan Lendl, Federer says he’s far from done for the year despite having one of his best seasons ever: “I’d like to win a couple of tournaments. That’s the goal. But we’ll see how it goes. It all starts here on Wednesday,” he said. The No. 2 seed is pitted in the same half of the draw as recent ATP Finals qualifier, German Alexander Zverev, with the pair due to face off in the semi-finals in what would be a rematch of their Coupe Rogers final in Montreal, where Zverev triumphed. The Swiss will open against the winner of Rakuten Japan Open semi-finalist Diego Schwartzman and Australian qualifier Jordan Thompson in the second round.